When it comes to gut health, we'd like to think we're pretty informed—we've covered the foods to eat and avoid, the telltale signs you may have a gut issue, the common mistakes people make when eating for gut health, and more. But once you've adopted all of these healthy habits, how long should it take for your gut to heal? And what exactly should that look and feel like? Fortunately, William Cole, DC, recently took to MindBodyGreen to explain exactly what you can expect when trying to improve your gut health. In short, it can take anywhere from two to three weeks for a normal healthy gut to generate a new lining and up to 12 weeks for those with an autoimmune condition or food sensitivity. Once you've spent the appropriate amount of time changing your diet and lifestyle, you may experience more regular gastrointestinal function, clearer skin, increased energy, less bloating, weight loss, or an improvement in conditions like eczema, asthma, allergies, migraines, depression, anxiety, autoimmune diseases, and more. Of course, this experience varies from person to person and is highly dependent on food sensitivities and pre-existing health conditions. Another Harvard study found that gut bacteria can change just three days after making a healthy dietary change. 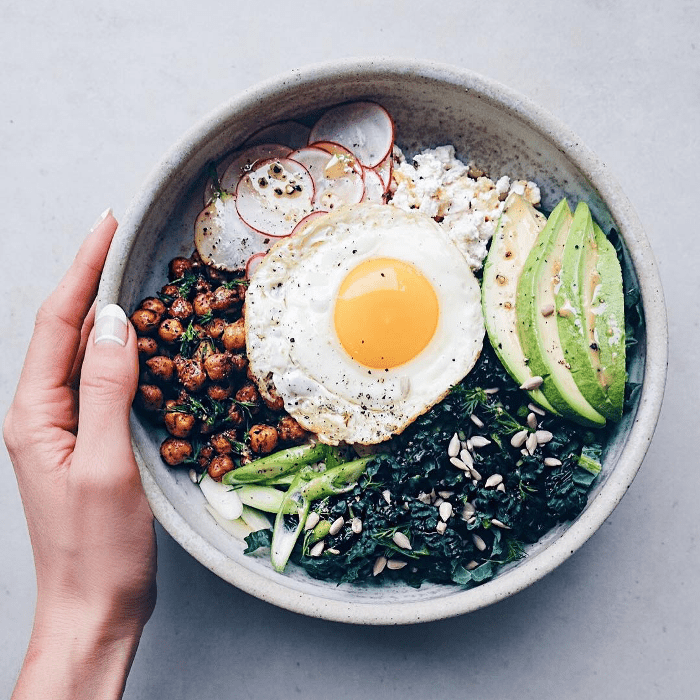 "This demonstrates the amazing power of the foods we eat, but in reality, most people interested in healing their gut have other health issues that make healing more complex and a lot slower," explains Cole. "If you have these health issues [like chronic inflammation, Lyme disease, leaky gut syndrome, and more] gut healing will definitely be a journey." Head over to MindBodyGreen for more from Cole, and read up on how to improve your gut health in 24 hours next.